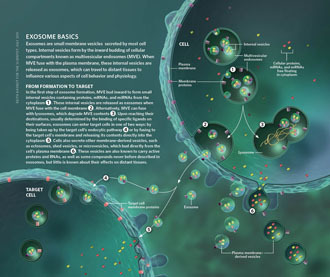 Extracellular vesicles (EVs) are lipid membrane vesicles released by cells. They carry active biomolecules including DNA, RNA, and protein which can be transferred to recipient cells. 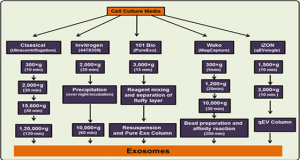 Isolation and purification of EVs from culture cell media and biofluids is still a major challenge. 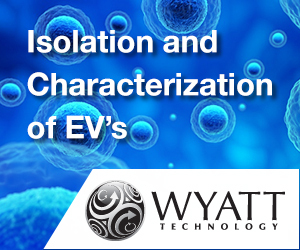 The most widely used isolation method is ultracentrifugation (UC) which requires expensive equipment and only partially purifies EVs. 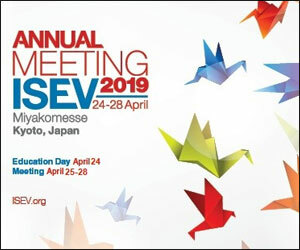 Previously we have shown that heparin blocks EV uptake in cells, supporting a direct EV-heparin interaction. 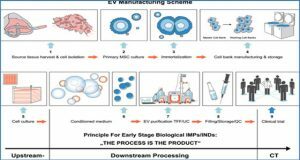 Here researchers at the Massachusetts General Hospital show that EVs can be purified from cell culture media and human plasma using ultrafiltration (UF) followed by heparin-affinity beads. 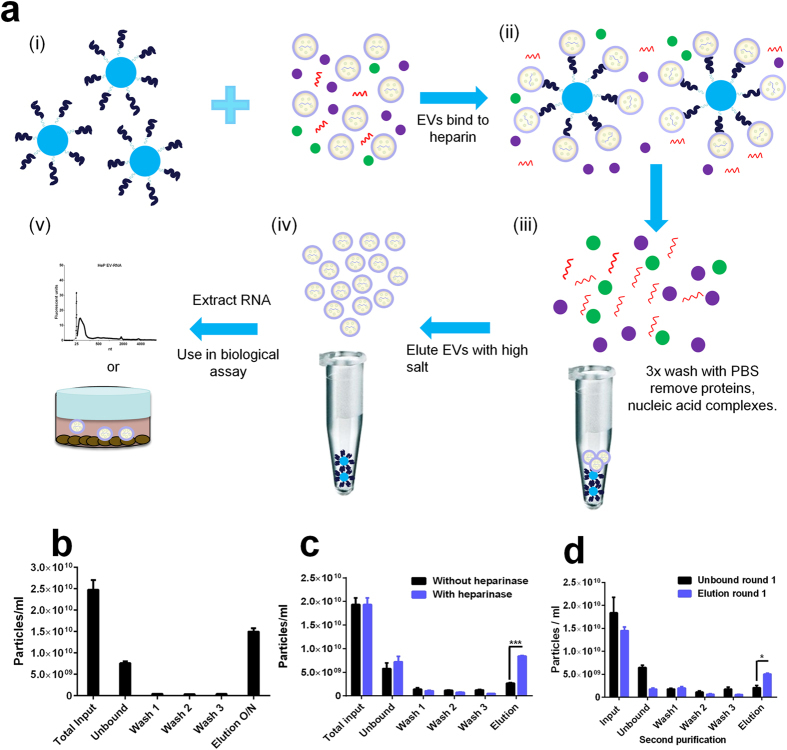 UF/heparin-purified EVs from cell culture displayed the EV marker Alix, contained a diverse RNA profile, had lower levels of protein contamination, and were functional at binding to and uptake into cells. 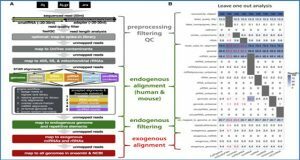 RNA yield was similar for EVs isolated by UC. 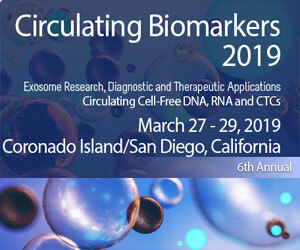 They were able to detect mRNAs in plasma samples with comparable levels to UC samples. 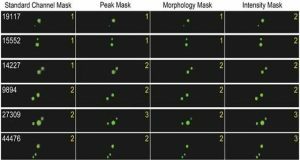 Extracellular vesicles are efficiently isolated and purified using heparin-coated agarose beads. (a) Heparin coated agarose beads are incubated with EVs released from a variety of cells lines, (i), to yield an EV/heparin complex, (ii). Free floating proteins and nucleic acids are washed away with PBS, (iii). Beads are the incubated overnight with 2.15 M NaCl and the EVs are released and collected by spinning down the beads and collecting the supernatant (iv). 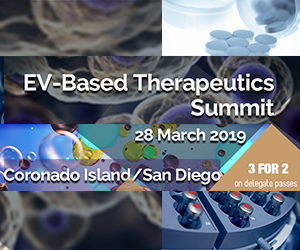 Collected EVs are used as a source of RNA (biomarker) or used in biological assays (v). 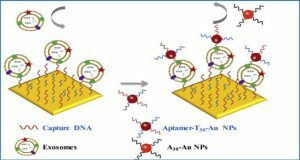 (b) Nanoparticle tracking analysis (NTA) counts of heparin-purified human 293T-derived EVs eluted with 2.15 M NaCl overnight at 4 °C following 3 wash steps. (c) To show specific heparin affinity we incubated heparin beads overnight with EVs, then rinsed beads 3 times with PBS and treated with Bacteroides Heparinase I or incubation buffer without heparinase and fractions were analyzed by NTA. (d) EVs were mixed with heparin beads and one round of purification was performed. The unbound and eluted fractions from round one were separately incubated with a fresh batch of heparin beads and round 2 purification performed on these samples. 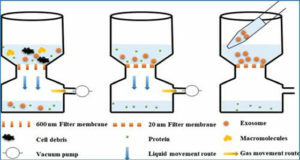 NTA was performed on each fraction of round 2 purification.